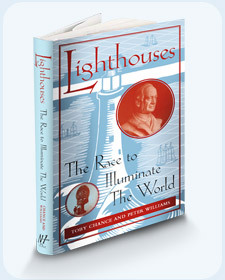 This website was launched in 2008 to coincide with the publication of my book, Lighthouses: The Race to Illuminate the World, co-authored by Peter Williams and published by New Holland. 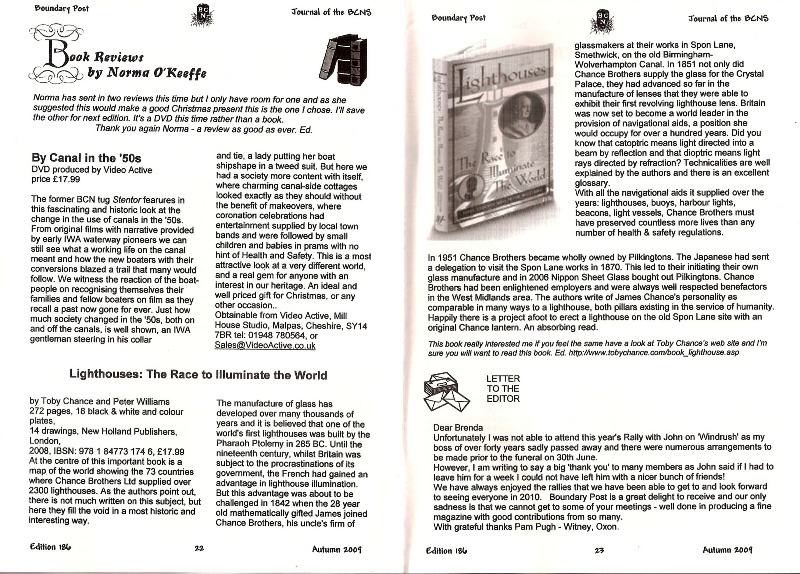 The book took three years to research and write and was aimed at a broad readership, beyond just lighthouse enthusiasts. The section on the Chance Family was originally written for the epilogue of the book but I removed it when it began to deviate from the main theme of lighthouses. I have always been fascinated by the Chance family history. Parts of it have been written up over the years, on both sides of the Atlantic, but a full account is yet to appear. The most comprehensive came from the pen of my great great uncle, James Frederick Chance, who wrote the history of the firm of Chance Brothers and an account of the lighthouse work of his father, Sir James Chance, Bt. My grandfather, Sir Hugh Chance, wrote a somewhat tedious update to the firm’s history, from 1919 to the 1970s, but Pilkington’s (who acquired Chance Brothers in 1945) declined to publish it and he died before a publisher could be found. The transfer of the business archives from St Helens to Smethwick is perhaps the catalyst for a serious historian to write a comprehensive history. 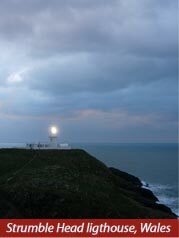 In 1959 D Alan Stevenson published The World's Lighthouses from Ancient Times to 1820. Stevenson, who died in 1971, was the great grandson of Robert Stevenson, Engineer to the Northern Lighthouse Board, and the fourth in the line of Stevenson's to be involved in lighthouse construction and illumination. Alan Stevenson's namesake, his great uncle, along with another great uncle, Thomas, were close collaborators of James Chance from the 1840s to the 1880s. The names Chance and Stevenson are known throughout the world for their contribution to lighthouse engineering and our greatest thanks are owed to James Chance and Alan and Thomas Stevenson for putting British lighthouse science and engineering on the map. D Alan Stevenson intended writing a follow up volume on lighthouses from the 1820s to the 1950s but time caught up with him and the book never materialised. In some respects our own book fills the gap, and co-incidentally one of us is James Chance's great great grandson. Toby's great great uncle, James Frederick Chance, James Chance's youngest son, wrote two books on the family glass business and his father's lighthouse work and though both have been forgotten they were vital sources for our own work. 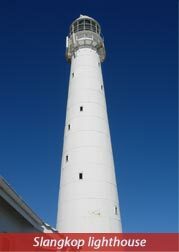 The germ of the idea for the book came after Toby visited Slangkop and Green Point lighthouses in Cape Town in 2005. I was with my future wife Diana and her sister, Carolyn - both born Lucas. I began to tell them about my family's history of making lighthouse lenses and the coincidence of my having Lucas ancestors. 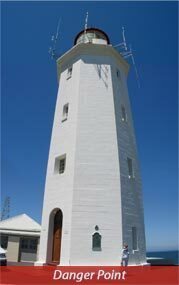 We introduced ourselves to the keepers, Peter Dennett and James Collocott (the latter being head of the SA Lighthouse Service), who were astonished to meet a direct descendent of James Chance, the man who started it all. Both Peter and James knew a lot about James Chance and proudly showed us the shiny brass plates at their lighthouses, embossed with the words "Chance Brothers of Smethwick, Near Birmingham, Lighthouse Constructors." Diana, a television producer and director, said "there must be a documentary in this", and this is when the project began. But I soon realised that before anything could be put on film there was an enormous amount of research to be done. So the idea of the book was born. Click here to download the cover of the book - it will give you an idea of what it's about. In 1844 Sir David Brewster visited Chance Brothers and later James Chance sent him some samples of optical glass produced by the firm - the best Brewster had ever seen. He wrote to James Chance suggesting the firm take up the manufacture of lenses for lighthouses, and six years later Chance Brothers exhibited their first Fresnel lens at the Great Exhibition in the Crystal Palace, itself glazed with glass mass produced by the firm. After many years of battling against the intransigence of Trinity House, who commissioned new lighthouses for Britain and the Colonies, Chance Brothers at last won their confidence and soon were rivalling the French manufacturers in the quality of their lenses. By now the two other firms making lenses in Britain had dropped out of the race so Chance Brothers went it alone. At the 1867 Paris Exhibition, the firm won a Gold Medal for their lighthouse lenses which were deemed to be superior to the French. 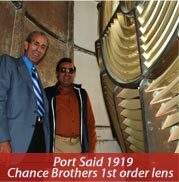 By the turn of the century, Chance Brothers was acknowledged as the world leader in lighthouse technology, not just lenses but the entire apparatus including in some cases cast iron towers to house the light. Between 1851 and the centenary of the lighthouse works founding, the firm supplied over 2500 apparatus to close on 80 countries. The book also attempts to place this story in the context of Britain's role as a global power, based on her overwhelming maritime dominance, as well as the expansion of world trade with the invention of the steam ship in the 1840s. We see the race to illuminate the world not just as one between competing manufacturers, but a race between nations wanting to attract ships to their harbours. Without lighthouses, coastal cities would be bi-passed by the ships plying the trade routes of the Cape of Good Hope, India, the Far East and the Americas. Hence it was no surprise that in 1869 one of the first buildings to be erected at Port Said, at the Mediterranean end of the Suez Canal opened that year, was a lighthouse, equipped with a state-of-the-art electric arc lamp, one of the first ever built. The book closes with the opening of another canal, the Panama, in 1914. This marked the beginning of the Age of Automation and the eclipse of the Age of Magnificence. In the former, Chance Brothers played a leading role for it relied on massive optics to magnifiy the light from fairly weak flames. In the latter, largely through the inventions of Gustav Dalén (who also invented the Aga cooker), brighter lights and automated lamp changing equipment meant that the need for glass prisms began to dwindle. Chance Brothers continued to make lighthouse apparatus until 1955 when Pilkington's sold off the works to Stone Platt of Surrey, England. They in turn kept the business going until the mid 1980s when it went bankrupt, so ending 135 years of Chance lighthouse engineering. The firm's heritage is still proudly celebrated all over the world, by the legions of lighthouse preservation societies. Chance lighthouse apparatus fetches huge prices at auctions and on places like eBay. One day I will have to splash out and get one for myself! Peter Williams and I both hope you enjoy the book and would love to hear from you with your comments and suggestions for future editions! Lighthouses attempts to fill the gap in lighthouse history concerning the development of illumination technology during the 19th and early 20th centuries. The main characters are James Chance, who started the lighthouse department at the firm founded by his uncle Lucas Chance in 1822; and Sir David Brewster, a radical Scottish optical scientist whose entreaties to the British establishment to take the lighthouse question seriously from the 1820s were largely ignored until a Royal Commission on lighthouse reported in 1861. During this time Britain lost its lead in lighthouse technology to the French, mainly due to the invention in 1819 of what has come to be known as the Fresnel lens, named after its inventor Augustin Fresnel. Fresnel, like Brewster, was an optical physicist but unlike Brewster was entrenched in the French scientific establishment and was hired by the Astronomer Royal to head up the French lighthouse service's investigations into improved methods of lighthouse illumination.